The Carew Arms, the old Ring O’Bells, is a pub, farm shop and cafe in the little village of Antony in South East Cornwall. Reopened in July 2016 after the first extensive renovation in many years, The Carew Arms is focused on delivering affordable, local and seasonal produce. 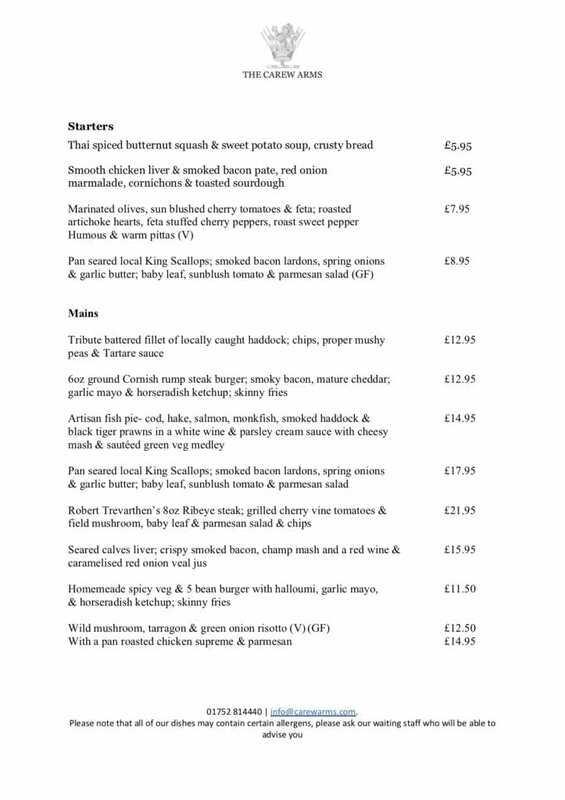 The simple menu places an emphasis on the quality of the produce that we’re using in the kitchen. Upstairs there is a private dining room that will seat 20 or host a standing reception for 40. And with a screen and projector it is also available for meetings and small conferences. Downstairs the old skittle alley has been transformed into a general store, a hybrid community/farm shop with a small cafe serving delicious cakes and the best coffee on the peninsula. 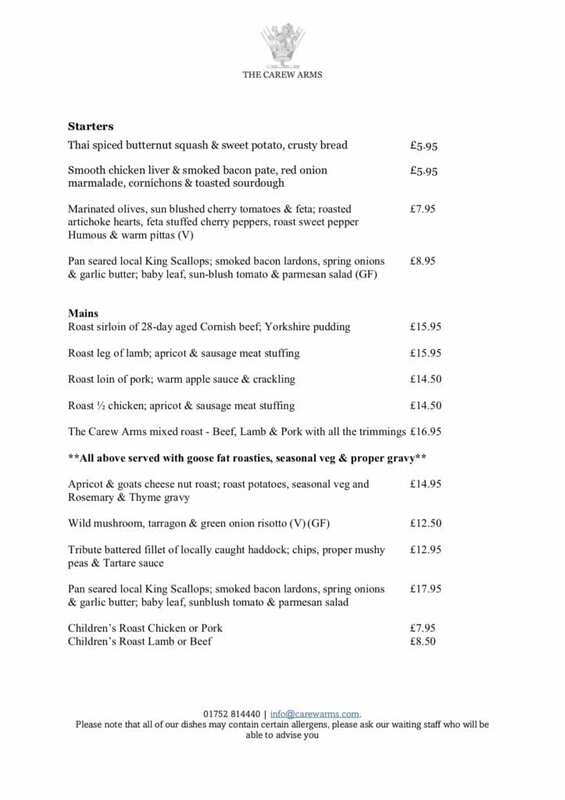 We are passionate about the best local and seasonal produce and hopefully our menu reflects this. Our chef, Neil, is constantly sourcing the best the area can produce from the finest local suppliers. 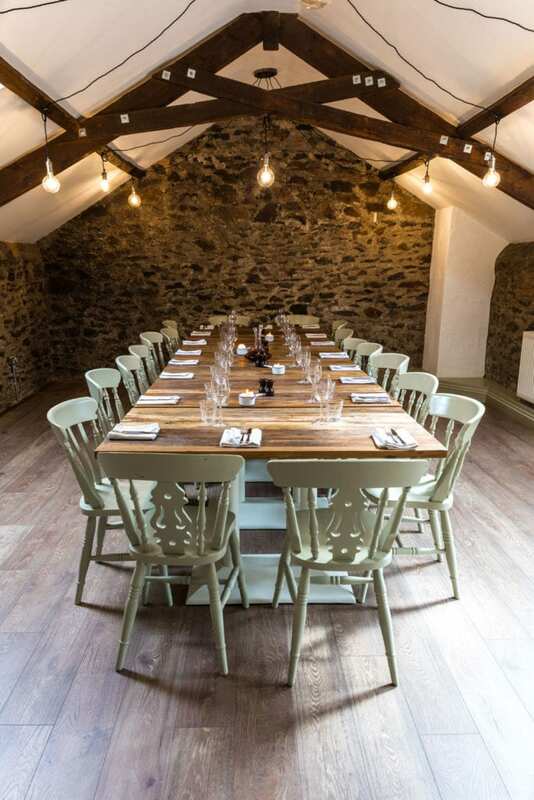 The Loft at The Carew Arms is one of the best spaces for private dining in Cornwall. Nestling under the eaves, with exposed brick walls and ‘Edison’ light bulbs, the room brings a little of New York to South East Cornwall. Seating up to 20 diners, or enough space for 35 standing The Loft is ideal as a function room. 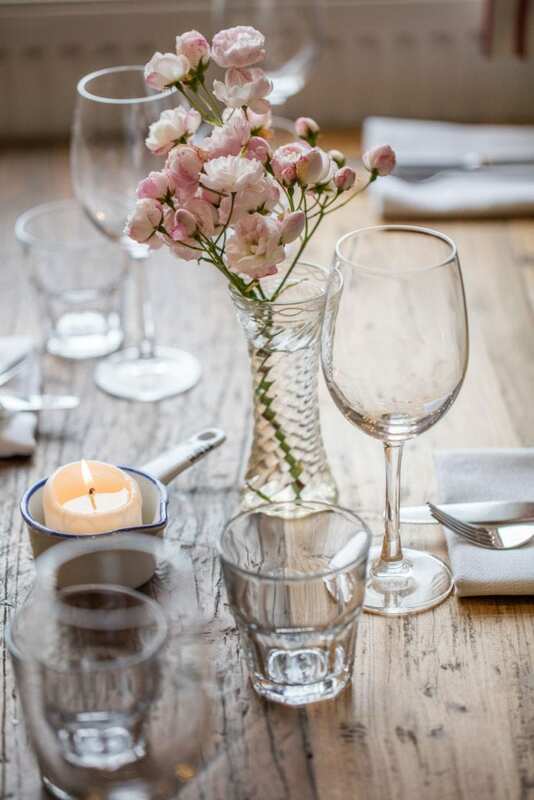 Please let us know what you are planning and we will do our best to help from price-conscious menus to match your budget to decorating the room for that special occasion. The Loft is also available for meetings and events during the day. We can produce audio-visual equipment when requested. Unfortunately, we need to take a £200 deposit to secure the room for you, which you can put against your bill at the event. 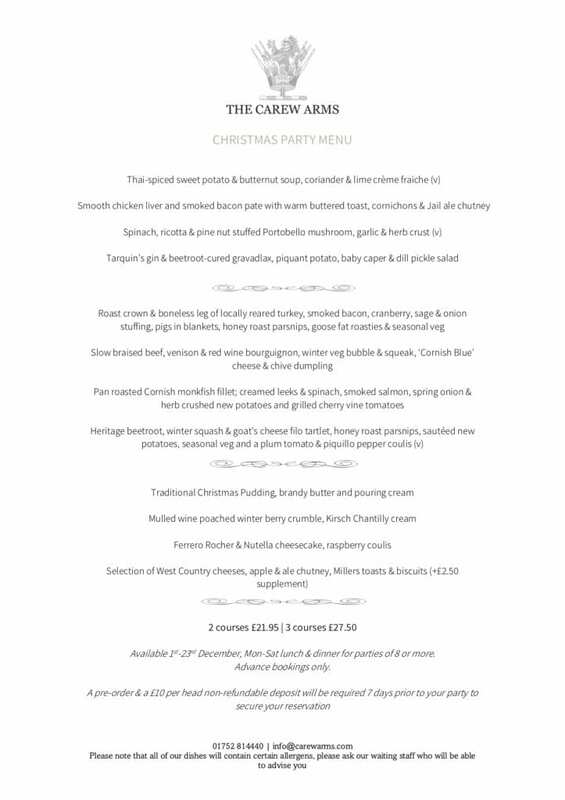 We will put together a three-course menu for you, and we do need the diners’ choices back five days before the event takes place. Let us know your budget and we will try and produce something to suit, but otherwise we will charge £22 a head. daily: 9am – 11pm (10pm Sun).